I love warm weather and I like it hot! But what I love the most about warm weather is the fresh food. In this case, it is sandía (watermelon in English). Whenever we would visit mi abuelita (grandmother) in Mexico, we would walk around town “helping” her with her errands and come across street vendors selling fresh fruit sprinkled with chile y limón (chile powder and lime/lemon juice): mangos, cucumbers, pineapple, cantaloupe and watermelon. The fruit was a little bit sweet and a little bit spicy. You can say the same for this drink. I came across this recipe while I was looking for a good watermelon drink. 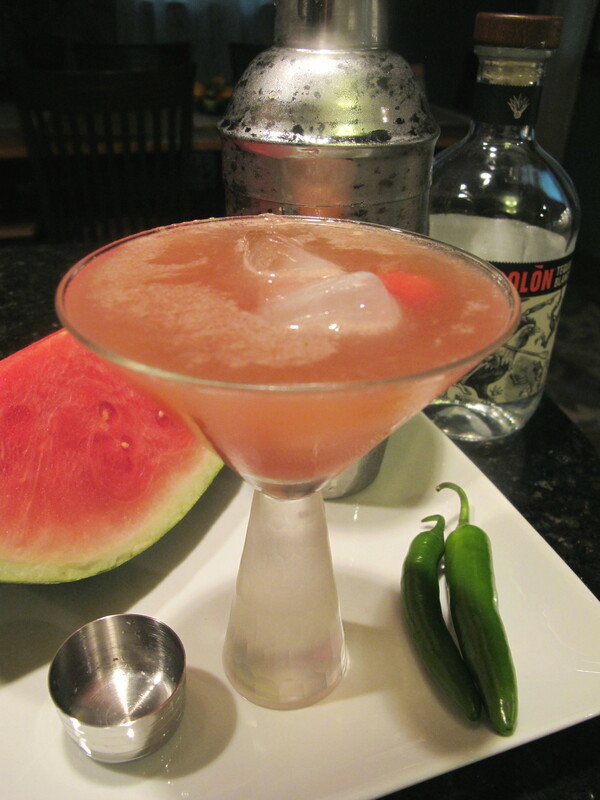 I love the refreshing, slightly sweet flavor of watermelon, so I wanted to celebrate our wonderful weather with a drink. And it has a nice kick too! This recipe comes from liquor.com, but I adapted it slightly. What caught my eye was the name. Tequila Mockingbird. A word-play on a great story. I also found out that a book by that name was published in 2013. It has drinks and other recipes that are all connected to a literary work (for example, A Farewell to Amaretto, The Old Man and the Seagram’s, and The Rye and the Catcher). I’ve already reserved it at our local library, and judging by how long I have to wait, it must be a good book! If I like it, you’ll be seeing some of those drinks posted here sooner or later. In a shaker, place the serrano pepper slice and muddle it before adding the rest of the ingredients. Fill the shaker with ice and shake for 10 seconds. Pour it into a glass filled with some ice. Enjoy! 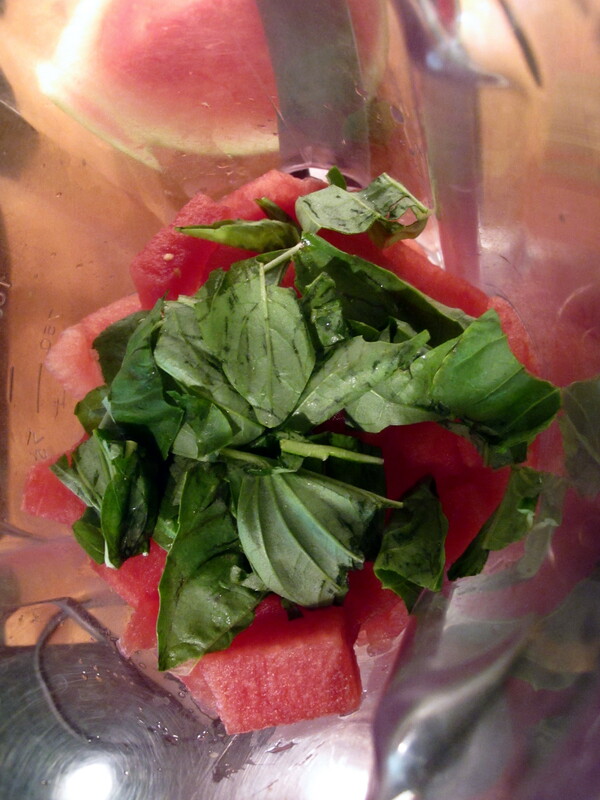 Add the watermelon to a blender along with the basil leaves. Blend until smooth. Using a sieve, strain the watermelon-basil mixture into a bowl. Set aside and refrigerate until needed.